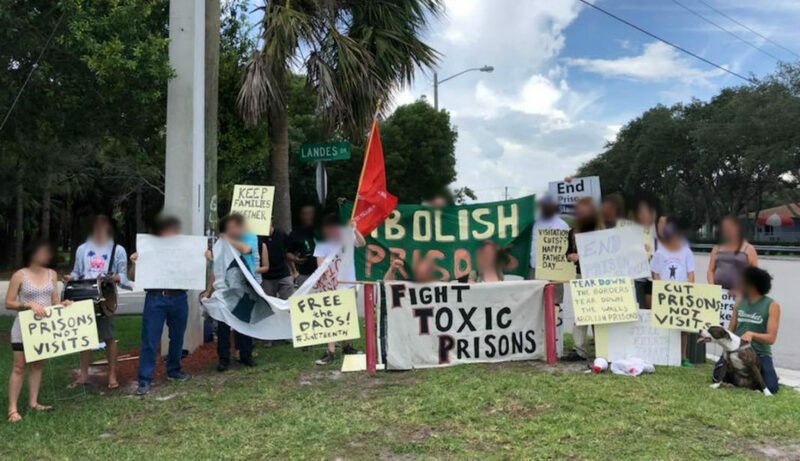 Gainesville Incarcerated Workers Organizing Committee reports on Juneteenth strike actions in Florida prisons along with outside public support. This post first appeared on It's Going Down. News from Juneteenth is beginning to come in from Florida prisoners. We have gotten word from prisoners at Martin C.I. that approximately 50 people there were down to participate in noncooperation for Juneteenth when a lockdown, declared by the facility’s administration in response to a solidarity protest outside the prison on June 17th, caused the facility to cease usual operations. Organized prisoners there who correspond with IWOC say they expected activity at some level in 15 other prisons in the state. 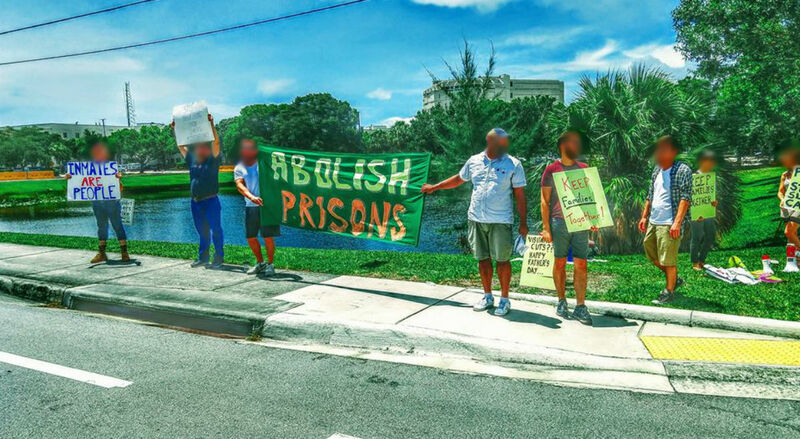 Solidarity protests outside also occurred at the RMC prison in Lake Butler (next to a proposed phosphate mine and an existing landfill) and the Palm Beach County Jail, which was also exposed this week for holding juvenile pre-trial detainees in solitary confinement, contrary to the state’s laws which requires juvenile inmates receive an education comparable to children who are not jailed. Prison staff called the police on activists, barred two women from returning to see their incarcerated loved ones, and placed one of their sons in confinement. Chad Harris was taken out of his cell and placed in administrative confinement on June 17, but not because of anything he did wrong. Officials at Martin Correctional Institution put him there because his mother, Geraldine Harriel, showed up at the prison to protest its living conditions. Prison staff also had trespass warnings issued to the protesters, including Harriel. She’s now barred from returning to see her son. The Department of Corrections is considering terminating her visitation. Although Juneteenth activities were focused on State prisons, as of June 21, USP Coleman 1 has been locked down for over 3 weeks. Leonard Peltier, who is caged there, asks friends to write a polite letter to Warden Roy Cheatam 846 NE 54 Terrace Wildwood, FL 34785 checking on Leonard 89637-133, who has not been feeling well. We have gotten word from prisoners at Martin C.I. that approximately 50 people there were down to participate in noncooperation for Juneteenth when a lockdown, declared by the facility’s administration in response to a solidarity protest... caused the facility to cease usual operations.